Started in 2008 by Clark and Mary Potter, our team has grown to total staff of 40 employees and 20 service trucks. We are a local, family-owned and operated company that combines small company customer service with large company know-how to bring our customers an unparallelled product with an eye toward the future. Throughout our services and interactions with our customers, we have earned a reputation for always exceeding expectations. 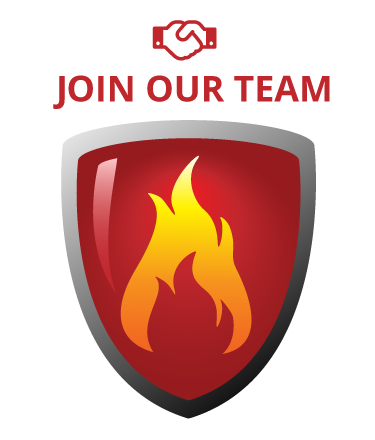 At Northwest Fire Systems, our mission is to be the premier provider of fire and life protection solutions in the greater Puget Sound area. We strive to always be honest and vigilant, and pursuing perfection, thereby reinforcing our reputation as an industry leader and an advocate for our customers. We have the best people, both in the office and in the field and we believe that customer service is our main advantage. We offer the most up-to-date technology to help our customers gain control of their systems like never before. Northwest Fire Systems upgraded to Service Trade the beginning of 2016. This advancement allows us to track the complete inspection and service history for your property, provide fully automated confidence test reports in real time and track deficiencies and repairs. Please see the video below regarding Service Trade and the many benefits we can offer you utilizing this program. Our community is part of who we are and we strive to make a positive difference around us. We sponsor nine children—one for each of our grandchildren—through World Vision, a nonprofit organization dedicated to helping children across the world rise up out of poverty. We install fire sprinklers at no cost for Habitat for Humanity projects. We are a sponsor of Transitional Resources, an organization that helps the homeless get into shelters and receive job training in order to transition out of homelessness. We are your one stop shop for fire protection services. Call Northwest Fire Systems today at 206-772-7502 if you have any questions about our services.